Several previous owners of faulty Galaxy Note 7 devices are strongly criticizing Samsung, claiming that the South Korean company has not done enough to compensate for the damage caused by their exploding smartphones. 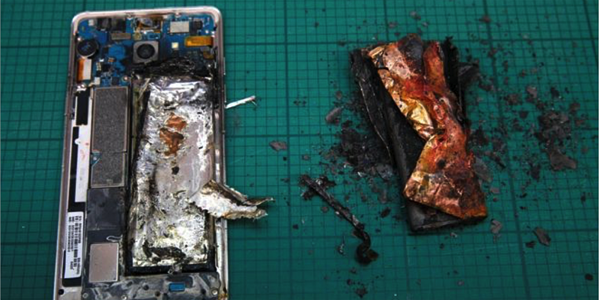 In what is now widely known, a problem with the Galaxy Note 7’s lithium ion battery caused some units (96 at last count) to combust, which in some cases caused serious damage to the owner’s property. John Barwick, of Marion, Illinois, was an owner of a faulty device that exploded and caused about $9,000 worth of damage, according to interviews conducted by The Guardian. After contacting the company, Samsung eventually referred him to their insurance company. “They told me they weren’t going to pay replacement costs of any damaged items,” says Barwick. “We were asking to have out carpet replaced, and to have the goods that were sprayed on replaced. We sent them the photos.” Samsung instead offered to pay a depreciated value of the items.